Geographic Information has an important role to play in linking and combining datasets through shared location, but the potential is still far from fully realized because the data is not well organized and the technology to aid this process has not been available. Developments in the Semantic Web and Linked Data, however, are making it possible to integrate data based on Geographic Information in a way that is more accessible to users. 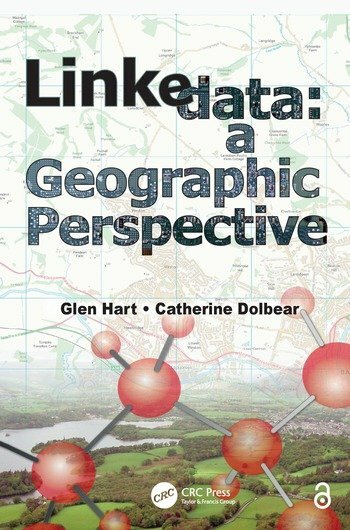 Drawing on the industry experience of a geographer and a computer scientist, Linked Data: A Geographic Perspective is a practical guide to implementing Geographic Information as Linked Data. 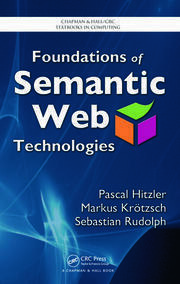 After an introduction to the building blocks of Geographic Information, the Semantic Web, and Linked Data, the book explores how Geographic Information can become part of the Semantic Web as Linked Data. In easy-to-understand terms, the authors explain the complexities of modeling Geographic Information using Semantic Web technologies and publishing it as Linked Data. They review the software tools currently available for publishing and modeling Linked Data and provide a framework to help you evaluate new tools in a rapidly developing market. They also give an overview of the important languages and syntaxes you will need to master. Throughout, extensive examples demonstrate why and how you can use ontologies and Linked Data to manipulate and integrate real-world Geographic Information data from multiple sources. A coherent, readable introduction to a complex subject, this book supplies the durable knowledge and insight you need to think about Geographic Information through the lens of the Semantic Web. It provides a window to Linked Data for geographers, as well as a geographic perspective for software engineers who need to understand how to work with Geographic Information. Highlighting best practices, this book helps you organize and publish Geographic Information on the Semantic Web with more confidence. Glen Hart currently leads the research group at Ordnance Survey, Great Britain’s national mapping agency. Glen first began to investigate the Semantic Web in 2002, initially working to understand the relevance to data integration and then how to construct ontological descriptions of geographical objects. Mirroring his interest in vernacular geography (how people understand and refer to the landscape around them as opposed to official views), Glen was also determined to develop ways to make ontologies more accessible to domain experts, those people expert in a subject area but for whom ontologies expressed in formal logic were totally opaque. This resulted in the development of a syntax for the Web ontology language OWL called Rabbit that expresses OWL sentences using controlled natural language. More recently, Glen has been involved in the publication of Ordnance Survey’s Geographic Information as Linked Data. Glen sees the publication of Linked Data as an enabler towards more efficient and accurate data integration, and his research continues along these lines. Dr. Catherine Dolbear is currently a link data architect at Oxford University Press (OUP), working on strategies for linking content across online academic and journal products within OUP’s discoverability program. Catherine is the author of several papers in areas of geographical ontology development, semantic data integration, and information filtering using structured data; a previous cochair of the OWL Experiences and Directions Workshop; and cofounder, along with Glen Hart, of the international workshop series "Terra Cognita" on geospatial semantics. While leading the geosemantics research team at Ordnance Survey, Catherine worked on the development of several ontologies in the geographic domain as well as the reuse of these in application areas such as flood defense and risk management. More recently, she has been interested in moving semantic technologies into mainstream publishing and tackling the scale, quality, and workflow requirements thereof. She is interested in how people think about the world, what is important to them, and how to discover knowledge by forging new links between information. "Anybody interested in how geographical information can be used to combine and access datasets and information in the Web should read this book. This text introduces developments in the Semantic Web and Linked Data, and offers guidance on how to implement Geographic Information as Linked Data. … The reader does not need to be an expert in the Semantic Web, Linked Data, or Geographic Information to follow this text. Terms and concepts are explained in relatively easy-to-follow language, and the material is presented in a logically structured sequence. … Glen Hart and Catherine Dolbear deserve to be complimented on how they have approached this subject matter and for their ability to present the material in an engaging style that is reasonably straightforward to follow. 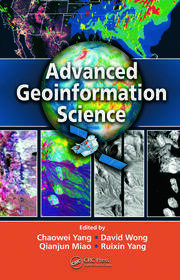 Anybody who needs to understand how to work with Geographic Information should think of this book as mandatory reading." 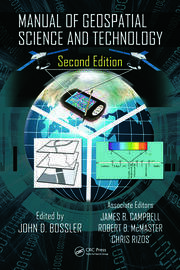 "It is unusual to enthuse over a book on such a technical topic, but this volume is a gem. ... It fully meets [the authors’] objective of being a practical guide to implementing solutions based on Linked Data and the Semantic Web that involve Geographic Information. The practical experience of the authors shines through and the text is complete and precise enough to allow little scope for argument over academic detail. But my greatest praise is for its readability. To produce a book that is such a pleasure to read on ... such a technical topic is an outstanding achievement. ... [Hart and Dolbear] have a rare talent for making complex concepts clear and the potentially dull sparkle."